Library and Archives Canada (LAC) is pleased to announce the launch of a new online database, Carleton Papers―Loyalists and British Soldiers, 1772–1784. This online database allows you to access more than 54,000 references to names of Loyalists and British soldiers. Names were taken from the British Headquarters Papers, New York―also known as the Carleton Papers―which include a variety of documents about Loyalist soldiers, civilian refugees, as well as British and German soldiers who settled in Canada after the American Revolution (1776–1783). Start searching the Loyalists and British Soldiers now! Library and Archives Canada (LAC) is pleased to announce the launch of a new online database, Ukrainian Immigrants, 1891–1930. Names were also taken from notes about early Ukrainian settlers and pioneer families in Canada gathered by Dr. Vladimir Julian Kaye (1896–1976). Start searching immigrants from Ukraine now! Library and Archives Canada is pleased to announce the launch of a new online database, Immigrants to Canada, Porters and Domestics, 1899–1949. This online database allows you to access more than 8,600 references to individuals who came to Canada as porters or domestics between 1899 and 1949. Names were taken from lists contained in the Central Registry Files series of the Immigration Branch (RG76 BIA) and other files held at LAC. Start searching porters and domestics now! Pointe St. Charles or “The Pointe” as it is more commonly known, is a Montréal, Quebec neighbourhood located southwest of downtown that has a rich and varied history. The area known as Pointe St. Charles was first acquired by Charles le Moyne in 1654, and is named in his honour. Throughout its early history, it was occupied by various religious communities and is also where Marguerite Bourgeoys, founder of the Congregation of Notre-Dame, welcomed and housed les Filles du Roi, the young French women who immigrated to New France to increase its population. Thereafter, Pointe St. Charles remained primarily a farming community until the mid-nineteenth century. 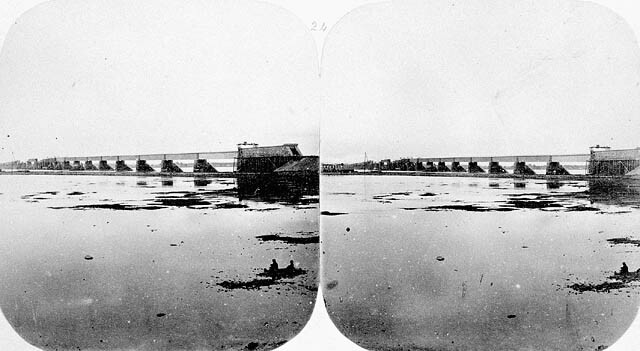 The landscape and population of Pointe St. Charles changed dramatically upon completion of the Lachine Canal in 1848, and further still with the new railway infrastructure and construction of the Victoria Bridge to Montréal’s south shore. Several companies were drawn to the area; new jobs were created, and land previously given to agriculture was bought for residential housing. 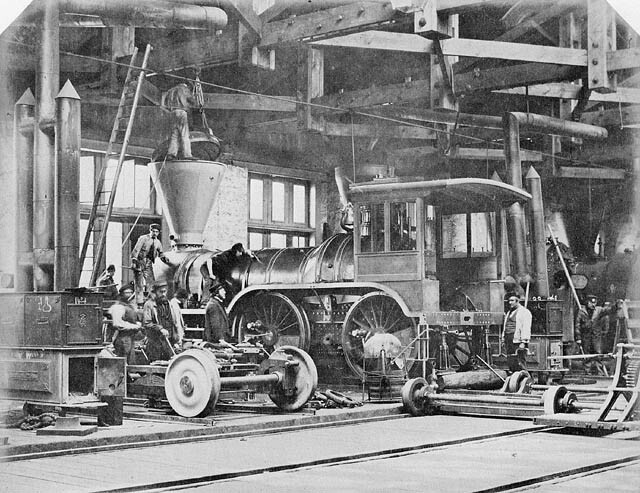 According to Héritage Montréal, by the beginning of the 20th century, Pointe St. Charles had become the largest industrial sector not only in Montréal but in all of Canada. It was at this time that The Pointe also became the quintessential example of an ethnic melting pot. Populated primarily by English (75%) and French (25%) Canadians, The Pointe increasingly became home to many different ethnic groups. Several factors would contribute to The Pointe’s dramatic turn from Canada’s largest industrial sector to one of its most notorious slums. 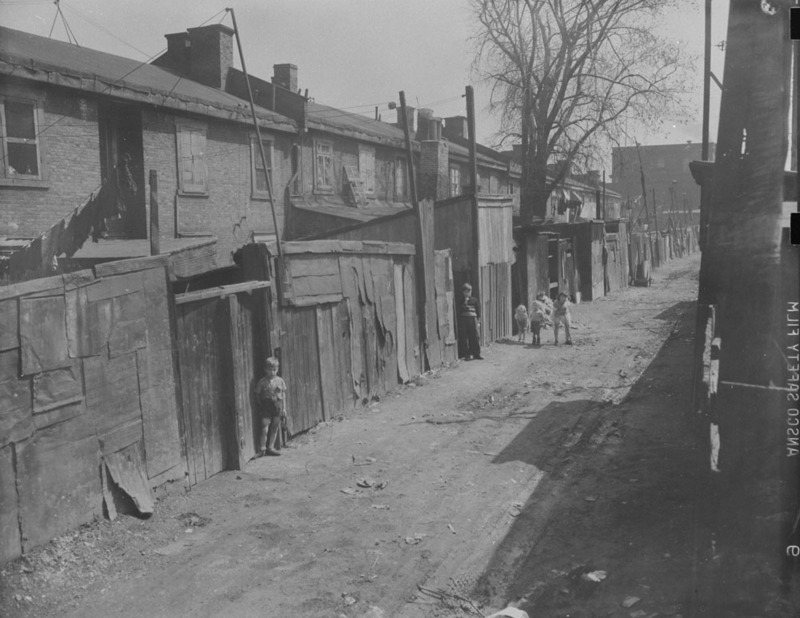 The Great Depression was the first event that contributed to the decline of the area’s primary economic activities. This was followed by the exodus of various factories and businesses to other industrial areas around Montréal, then culminating with the opening of the St. Lawrence Seaway in 1959 and the closing of the Lachine Canal. Adding further to the area’s decline was the building of expressways that now run along The Pointe’s north and southwest borders. 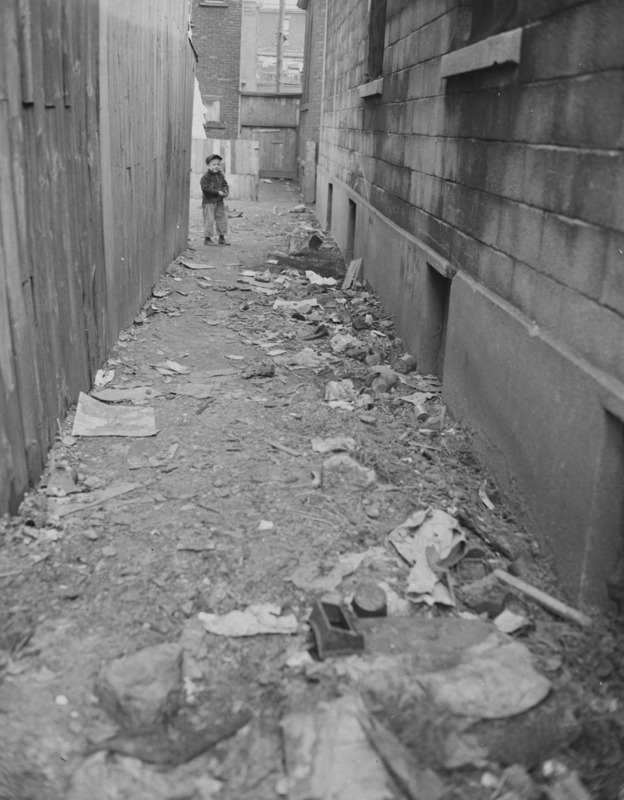 The Richard Arless photographic collection held by Library and Archives Canada substantiates the existence of these slum conditions. Montréal-born Richard Graham Arless (1906-1995) began his career as a Second World War military photographer. After the war, he worked for various newspapers and magazines, eventually opening his own commercial studio in Montréal. 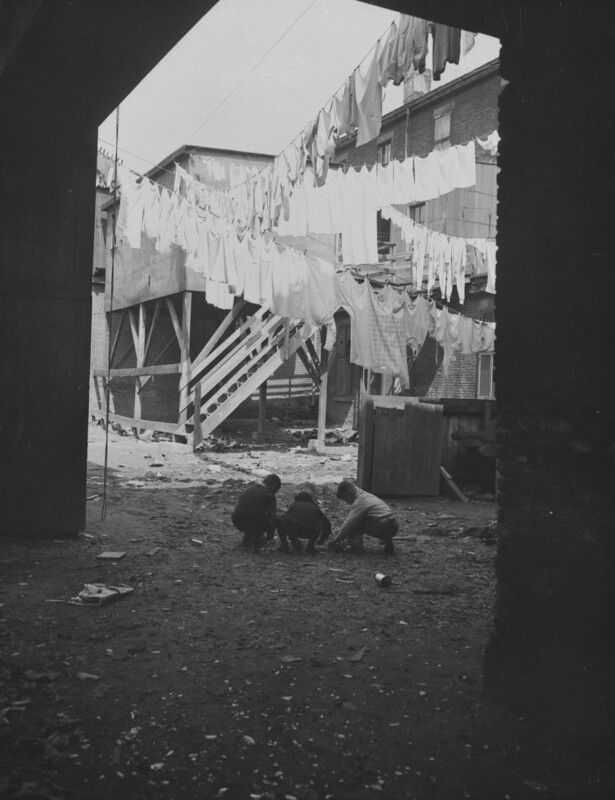 His photographs of the slum conditions of Pointe St. Charles, all taken on the same April day in 1946, capture the bleakness and poverty of this once vital, now broken-down and battered neighbourhood. The people of Pointe St. Charles have always been a gregarious and hardy bunch. As their population dwindled and their neighbourhood and living conditions deteriorated, the residents banded together to confront and improve their lot. Community groups were started to improve housing, build parks and promote recreation and health care. Most recently, The Pointe has experienced a revitalization. Land around the Lachine Canal was transformed for recreational use with bike paths, while many of the abandoned factories have been converted into condos that have attracted many new residents. May is Asian Heritage Month in Canada, during which we acknowledge the long and rich history of Asian Canadians and their contributions to Canada. Asian Heritage Month also provides an opportunity for Canadians to reflect on and celebrate the contributions of Canadians of Asian heritage to the growth and prosperity of Canada. To celebrate Asian culture, Library and Archives Canada is pleased to announce the addition of more than 35,000 references to its Immigrants from China database. It now includes references to the C.I.9 certificates issued to people of Chinese origin born outside Canada and wanting to leave Canada for a limited time without losing their Canadian status. The actual records include a photograph and provide information such as the individual’s name, age and place of birth, as well as the port and date of departure, and the ship’s name. The year 2014 marks the 350th anniversary of the Notre-Dame de Québec parish, the oldest Catholic parish in North America. Monsignor François de Laval, who arrived in Quebec City in 1659 as the vicar apostolic, signed the decree for the establishment of the parish on September 15, 1664, in honour of the “Immaculate Conception of the Blessed Virgin Mary.” However, the common name “Notre-Dame,” in reference to the Virgin Mary, was quickly adopted by the inhabitants of the city. The church, located on the Cap-aux-Diamants promontory, was opened for worship in 1650. Over the years, it has undergone many alterations, including renovations, expansions and reconstructions. The Diocese of Quebec was created in 1674. Monsignor de Laval was appointed bishop of the enormous diocese, which covered a large part of North America. The parish church became a cathedral and was the base of the Catholic Church in North America until 1817, when the Halifax and Kingston dioceses were created. The 350th anniversary is being celebrated in a special way with the opening of a Holy Door, a symbol of humility and a rare privilege granted by the Holy See. The Holy Door is the seventh in the world and the first in North America. It will remain open until December 28, 2014. Library and Archives Canada has historical records on the Notre-Dame de Québec parish, including many iconographic representations of the church in different eras. 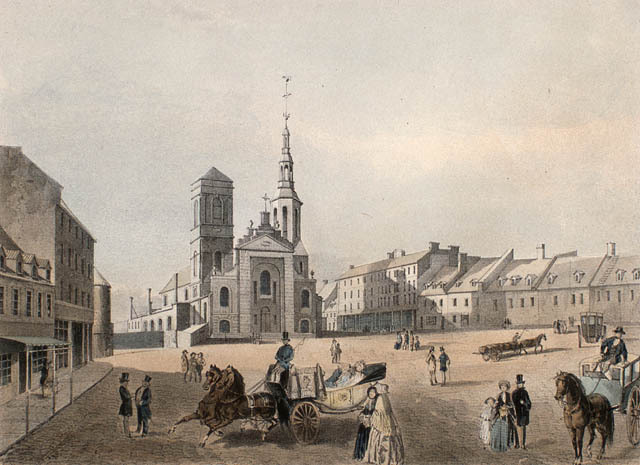 The Notre-Dame Catholic parish fonds (Quebec City) contains baptismal, marriage and burial records, as well as various parish censuses conducted in 1744 and between 1792 and 1815. May is Asian Heritage Month in Canada, during which we acknowledge the long and rich history of Asian Canadians and their contributions to Canada. Asian Heritage Month also provides an opportunity for Canadians across the country to reflect on and celebrate the contributions of Canadians of Asian heritage to the growth and prosperity of Canada. To celebrate Asian culture, Library and Archives Canada (LAC) is pleased to announce the addition of references to its Immigrants from China database. It now includes references to the C.I.9 certificates issued to people of Chinese origin born in Canada and wanting to leave Canada for a limited time without losing their Canadian status. The actual records include a photograph and provide information such as the individual’s name, age and place of birth, as well as the port and date of departure, and the ship’s name. 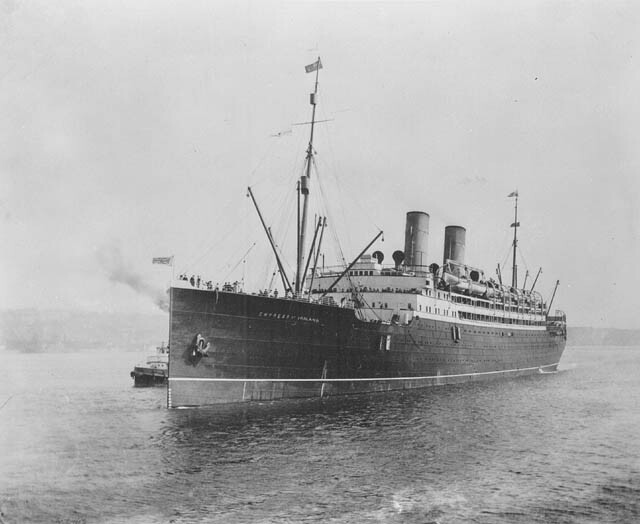 On May 28, 1914, under the command of Captain Henry George Kendall, the Empress of Ireland set sail under clear skies from Québec City with 1,477 passengers and crew on board heading to Liverpool, England. The ship picked up mail at Rimouski and then continued on to the pilot station, Pointe-au-Père, where the pilot disembarked saying, “I don’t think you’ll run into much fog,” as he climbed down the rope ladder. What followed was a perfect storm of tragic events that resulted in the loss of 1,012 lives. Shortly after 1:30 a.m. on May 29, Captain Kendall saw an approaching vessel, the Norwegian coal freighter Storstad. Almost immediately afterwards, a thick fog rolled in and Kendall ordered a full stop to allow the other ship to pass safely. The two ships communicated their sailing intentions. As the Storstad entered the fog bank, her First Officer later testified, there did not seem to be any possibility of a collision. Just before 2:00 a.m., the fully loaded coal freighter emerged from the fog bearing down on them quickly. Captain Kendall franticly attempted to alert the Storstad, but it was too late—the Empress was violently struck mid-ship. The damage sustained was irreparable, the engine rooms quickly flooded leaving the ship powerless and unable to close the watertight doors of her bulkhead. As water continued to overwhelm the Empress, she lurched violently and alarms were sounded for the sleeping passengers to abandon ship. A few hundred people reached the deck, but only four lifeboats were safely dropped before the ship capsized. Passengers and crew were thrown into the icy waters, and within minutes the Empress disappeared, finding her final resting place at the bottom of the St. Lawrence River. The majority of the lives lost that night had been far below deck in third class. Of the 1,477 passengers and crew that had boarded the Empress of Ireland, a mere 473 survived. Heartbreak and finger-pointing followed the tragedy. Both ships’ crew members insisted they were not to blame for the accident. Editorials at the time claimed that if you believed either captains, both ships were at a standstill and miles apart. In the end, the inquiry found the Captain of the Storstad responsible for the collision. The wreck of the Empress of Ireland rests on the floor of the St. Lawrence, 11 kilometres off Pointe-au-Père, Quebec, in 40 metres of water marked by a surface buoy. 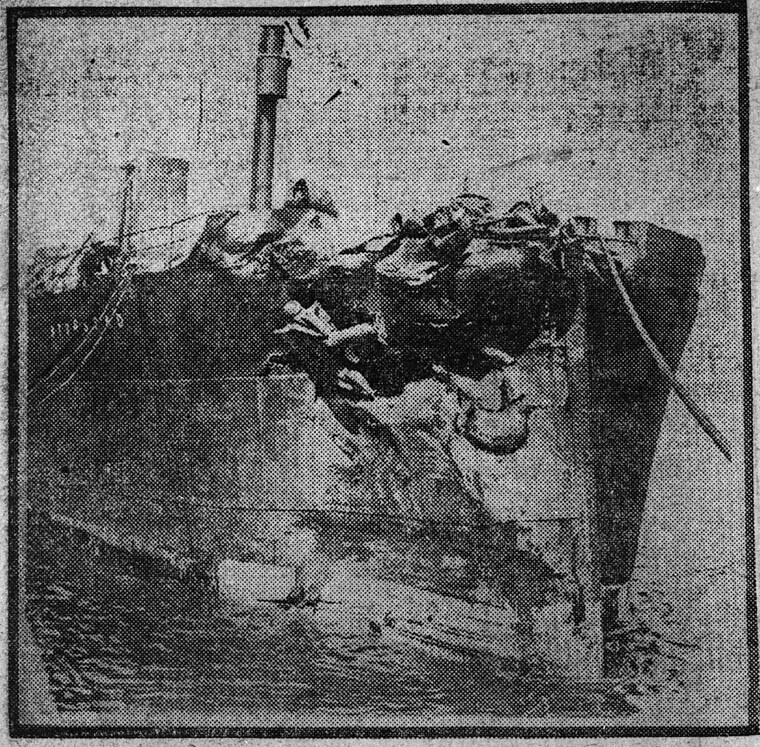 One hundred years later, the Empress of Ireland remains the largest Canadian maritime accident that occurred during peacetime. Shipwrecks, both as historical events and artifacts, have sparked the imagination and an interest in the maritime heritage of Canada. The discovery of the War of 1812 wrecks Hamilton and Scourge, found in Lake Ontario in the 1970s, and the discovery of the Titanic in the 1980s, served to heighten public awareness of underwater archaeology and history. Whether you are a wreck hunter on the trail of a lost vessel, or a new shipwreck enthusiast eager to explore images and documents that preserve the epic tales of Canadian waters, Library and Archives Canada (LAC) has something for you. The Ship Registration Index is a helpful resource. The database includes basic information about more than 78,000 ships registered in ports of Canada between 1787 and 1966. Can’t locate all of the information listed? There’s no cause for concern! Not all of the information is necessary, but it is essential that you know the name of the vessel. All Government records relating to shipwrecks are organized according to the ship’s name. Consult the How to Find Photographs Online article for more help. In Archives Search, under “Type of material”, select “Maps and cartographic material” to narrow your results. All records listed are found in the documents of the Marine Branch (Record Group 42) and/or Transport Canada (Record Group 24). Important: Government records contain information about shipwrecks that occurred in Canadian waters, and include all accidents involving foreign vessels in Canadian waters. Please note: this is not an exhaustive list of resources, but rather a compilation of some of the major sources of documentation available on shipwrecks held at LAC. You can find a number of digitized photographs, maps and documents on the Shipwreck Investigations virtual exhibition. More specifically, check out the collection of digitized Official Wreck Registers in the Shipwreck Investigations Database. Simply check if the name of the vessel you are researching is listed. Another excellent source of information on shipwrecks is local public libraries. There are many maritime histories and bibliographies that offer reference points to begin your shipwreck research.